TikTok, the number one destination for short-form mobile video globally, is inviting their users to do good this holiday season through a new initiative, #CreateforaCause. Creators in the US are invited to use a series of holiday-themed AR filters and objects to help raise money for three special charities including DoSomething.org, Best Friends Animal Society and Oceana. Khloe Kardashian, Nick Jonas, Nina Dobrev, Vanessa Hudgens, Ashley Benson, Serayah and more have joined TikTok’s charitable collective as partners to inspire the season of giving back with TikTok’s global audience. 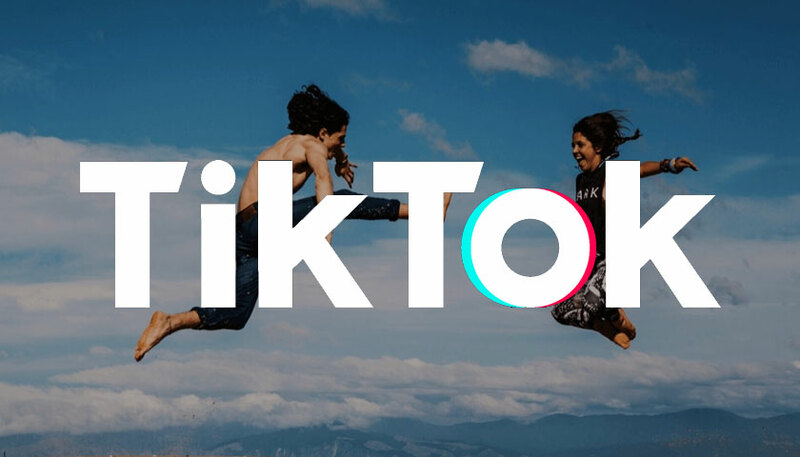 TikTok has committed a total pledge of $2 Million dollars to inspire their community to do good through the in-app design as a way for users to come together. To achieve this goal, users must take part in the holiday filter to meet the goal. #CreateforaCause is a celebration of the season of giving and recognizes charities that are making a difference, particularly for causes that proven to be important with the TikTok creators. The program is designed to empower users to be active, make a difference and join together to impact the world for the better. TikTok is the power behind the movement giving users an effortless way to participate, allowing them to seamlessly integrate creative and fun filters all while raising donations for good. With the launch of 15 new seasonal holiday filters, users are encouraged to post with the hashtag #CreateforaCause to show their best creativity and raise awareness for the three charities. Filters such as the surprisingly “smart” AR Santa popping out of a chimney, reindeer horns for dogs through the newly launched dog filters, snow globe effects, elf face filters and more, will all be available for users to enjoy. With each post and hashtag, TikTok will donate directly to the charities with the overall dollars raised shared between each. DoSomething.org is the largest tech company exclusively for young people and social change. The digital platform is activating 6 million young people (and counting!) to create offline impact in every US area code and in 131 countries. For this campaign, TikTok is providing daily essentials for people experiencing homelessness and will be partnering with Khloe Kardashian, Shawn Mendes, Ashley Benson, Rae Sremmurd and Sway Lee to help raise awareness on the platform. Oceana is the largest international advocacy organization dedicated solely to ocean conservation. Oceana is rebuilding abundant and biodiverse oceans by winning science-based policies in countries that control one third of the world’s wild fish catch. With more than 200 victories that stop overfishing, habitat destruction, pollution and killing of threatened species like turtles and sharks, Oceana’s campaigns are delivering results. Through its “Save the Oceans, Feed the World” campaign, Oceana seeks to rebuild the world’s oceans so they can provide a healthy seafood meal to over a billion people each day in a way that is truly sustainable. Nina Dobrev, Vanessa Hudgens and Kourtney Kardashian will help promote awareness of the organization on their TikTok channels. Visit www.oceana.org to learn more. Best Friends Animal Society, founded in 1984, is a leading national animal welfare organization dedicated to ending the killing of dogs and cats in America’s shelters. In addition to running lifesaving programs in partnership with more than 2,200 animal welfare groups across the country, Best Friends has regional centers in New York City, Los Angeles, Atlanta and Salt Lake City, and operates the nation’s largest no-kill sanctuary for companion animals. For more information, visit bestfriends.org. Nick Jonas, Peyton List, Halsey and Serayah McNeil will create unique content for their TikTok channels to help raise awareness for the organization. #CreateforaCause will launch on Friday, December 21 and run through Wednesday, December 26. Join the cause on social via the TikTok platform. I am working on Rural Community Based Tourism in Indonesia. In the mission to have 5000 rural areas all over Indonesia as alternative place to visit highlighting culture, values,art and culinaries of our local people in the village. In brief we are working on sustainabe and responsible tourism.